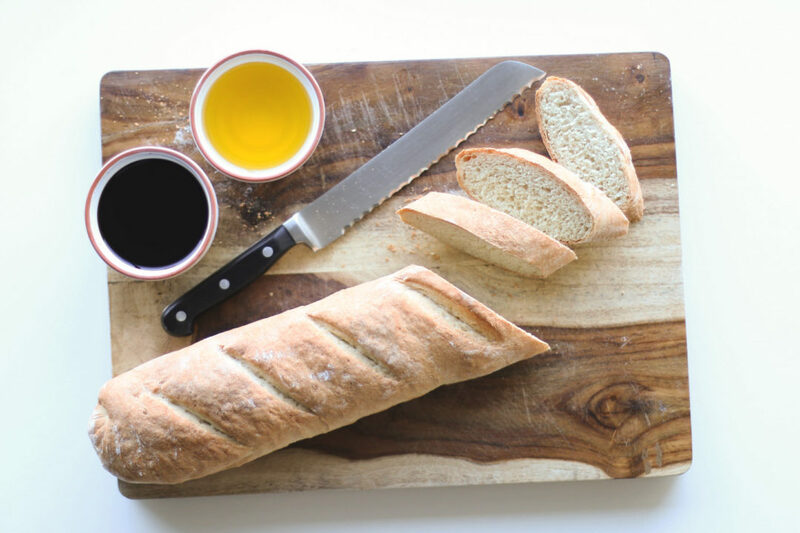 Homemade Italian bread is one of those simple pleasures in life. 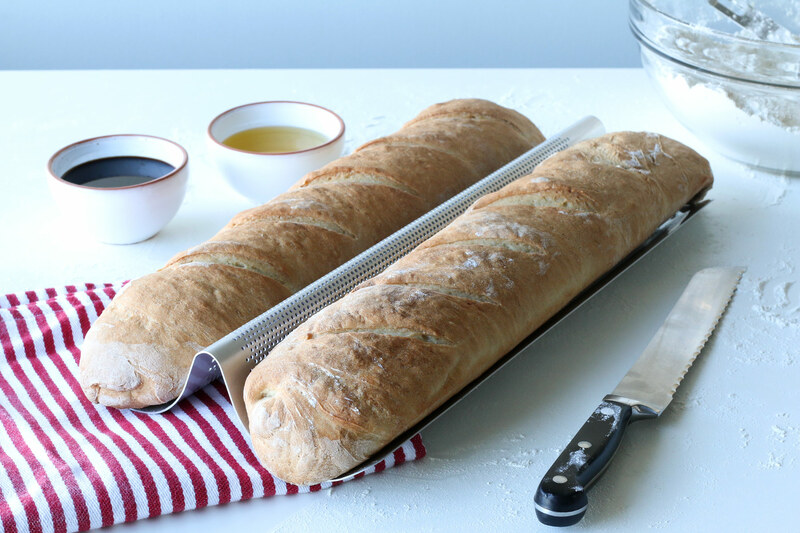 The long, thin loaf is perfect to make small appetizers, we suggest trying this recipe, or using for simple dips. To start, use an electric mixer fixed with a dough hook attachment. Combine the yeast, sugar, and warm water in a medium bowl and set aside for 2 minutes for the yeast to dissolve. Add the salt and flour in the mixing bowl attached to the electric mixer. Once the yeast is dissolved, pour the mixture into the bowl with the flour. Mix together on a low speed until the dough starts to come together. Increase the speed of the mixer and mix together until the dough starts to pull away from the sides of the bowl. Grease a separate mixing bowl with cooking spray or butter. Place the dough into the bowl, cover with plastic wrap, and place in a warm place. The dough should double in size, this usually takes around 1 1/2 hours. Once the dough has risen, remove the dough from the bowl and turn it out onto a floured surface. Divid the dough into 2 equal parts. Pat each section of the dough into large rectangles about 3/4 inch think. To begin, roll up the dough, beginning with the short side. Tuck the edge of the dough into itself and roll the dough so that the seams disappear into the dough. Dust the loaves with a little flour. 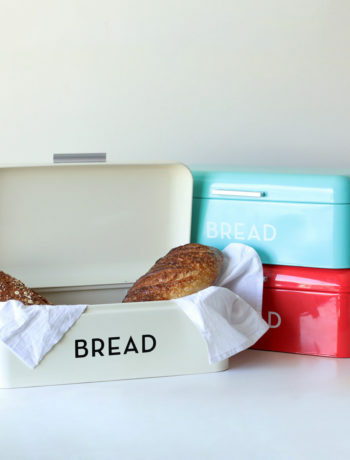 Place each loaf into each well of the Italian loaf pan. Cover the loaves with a tea towel and let them rise for another hour. Preheat the oven to 375 degree Fahrenheit. With a small knife, make diagonal slashes, about 1 inch apart, on top of each loaf. Bake for 35-40 minutes, or until the bread is golden brown. Remove the bread and serve warm.